Indians are known for having an exquisite taste in jewellery. Every states in India has a unique jewellery and decorative piece or design to offer, with Uttar Pradesh being no exception. The state, having a royal lineage is famous for his delicate and intricate meenakari works in jewellery items. Its stone works and jarao designs are also an example of fine taste and artistry. Like all other cities in Uttar Pradesh, Mirzapur too houses a number of jewellery shops showcasing some of the prized designs and work of art of the state. 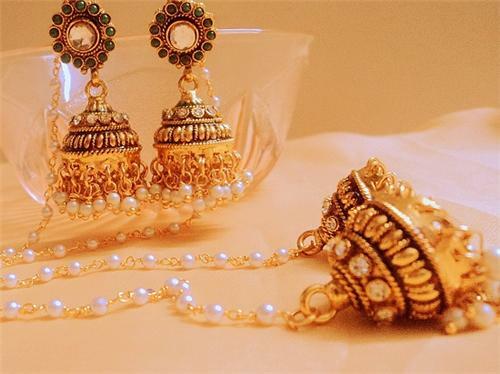 Mirzapur, also has a close connection with the tribal life and the city jewellery shops also houses some of the finest tribal jewellery collections.